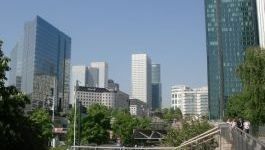 (CercleFinance.com) - The Parisian broker Invest Securities has confirmed its buy rating on Worldline shares, with the electronic banking sector once again full of M&A. The broker maintains its target price at 57 euros, which means upside potential of just over 10%. While sector news had, for a few weeks, been limited to the legal twists around Wirecard, analysts say, yesterday two bits of key news hit the headlines: the launch of the IPO process (here in Milan) of NEXI and FIS' exchange offer on Worldpay. Invest Securities adds that although these two operations should not to impact Worldline's consolidation strategy of payment services in Europe, they will crystallize valuation multiples that slightly exceed those of the French group. In addition, this year Worldline is expected to benefit from an acceleration in its earnings growth, thanks to the integration of SIX Payment Services.